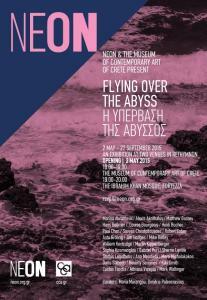 NEON presents the exhibition ‘Flying over the Abyss’ in collaboration with the Museum of Contemporary Art of Crete and its Director, Maria Marangou who, along with Dimitris Paleocrassas, is co-curating the show. The selection of the participating artists, both international and Greek, is influenced by ‘Ascesis: The Saviors of Gods’ (Ασκητική), the spiritual exercises written by the renowned Cretan thinker, Nikos Kazantzakis. The exhibition will establish a creative dialogue among the artists’ works and the essay, tracing the enlightenment of a human life’s pathway, from the time of birth ‘till death. The original manuscript of Ascesis will be on display, a courtesy of The Nikos Kazantzakis Museum. 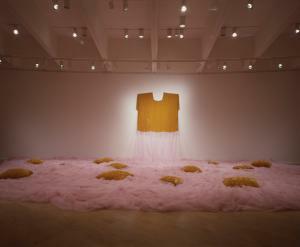 World House Editions artist Beverly Semmes will be represented by a large-scale installation piece called Kimberly from 1994.